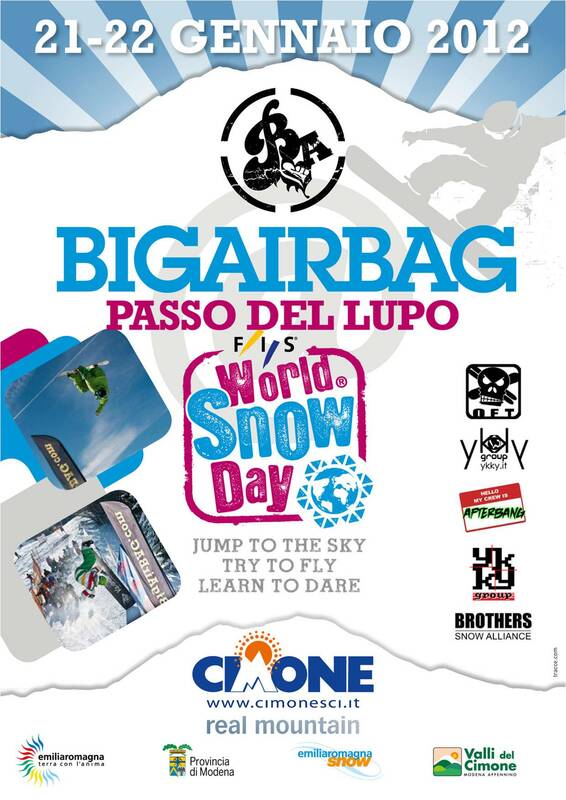 Despite the unfavorable weather and strong winds, which on Saturday did not allow to install the BigAirBag, however Sunday was a beautiful day and the initiative has been a great success. 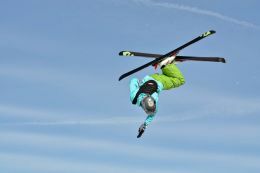 There were at least 100 participants, boys and girls, young people and others, skiers and snowboarders, who performed spectacular stunts. From 10 am until late afternoon, the participants have followed one after another in an attempt to pull off a jump ever tried before, or that the fear of injury has never allowed. 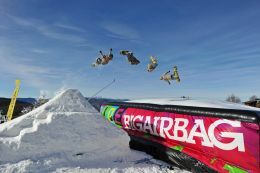 The BigAirBAG is a spectacular event that attracts the interest of more snow enthusiasts, particularly snowboarders. 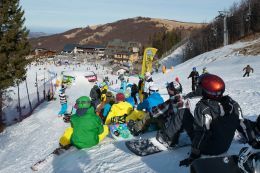 For this reason, the ski resort of Monte Cimone will continue to invest in it, thinking for the future to expand the event with further proposals. Participants waiting for their turn to jump. Some participants demonstrated a great technique. The jump does not close, but do not worry, the landing is soft!